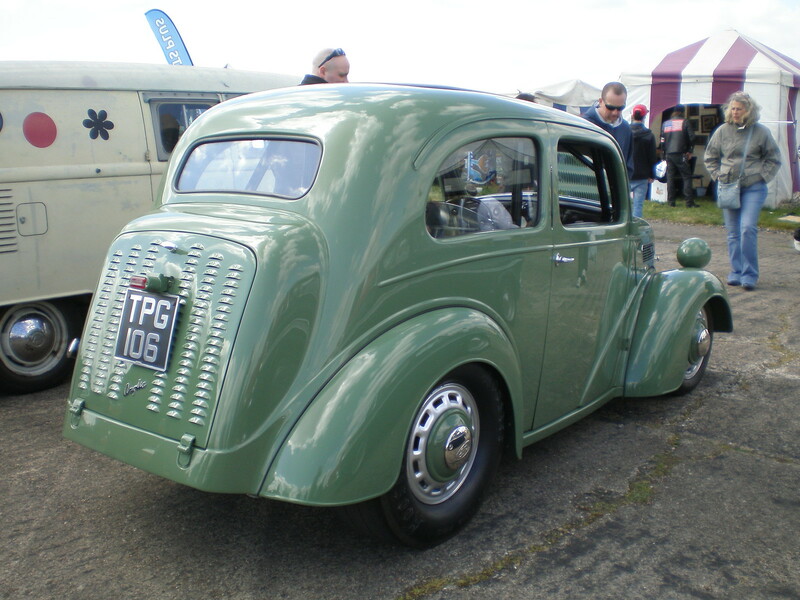 Just when you think you've seen every possible permutation of a Popular or Anglia, along comes this car. Built by long-time British hot rodder Geoff Cousins, the familiar sit up n' beg body belies the incredible amount of owner fabricated parts underneath. 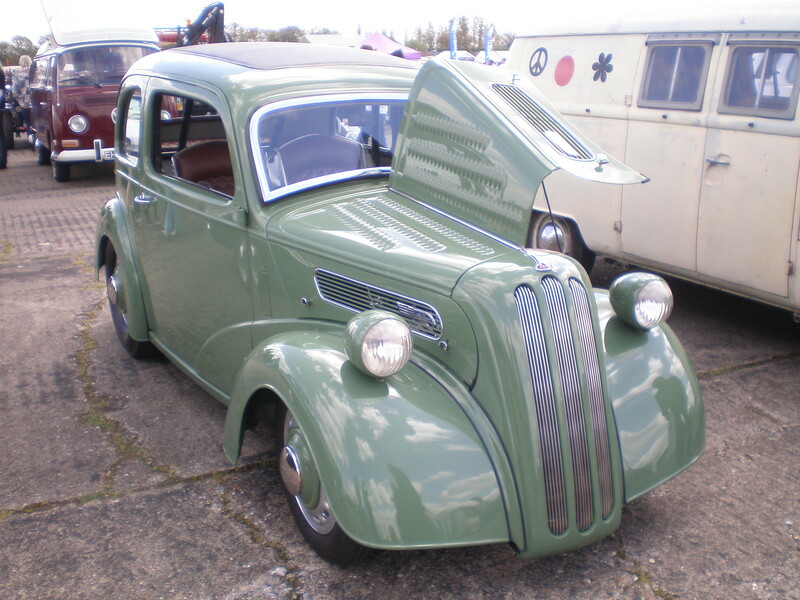 Bought for £500 (the rare pre-war 7w grille cost that again), the car features a full tube chassis (owner built), custom front suspension (owner built) based around a pair of Art Morrison Super Struts with 450lb springs. Out back, a nine inch Ford axle with a 3.77:1 LSD diff and 31-spline halfshafts is located by (owner built) 4-links and Koni coilovers mounted inside the car and operated by vertical links and bell cranks, which are mounted on roller bearings, all owner fabbed. 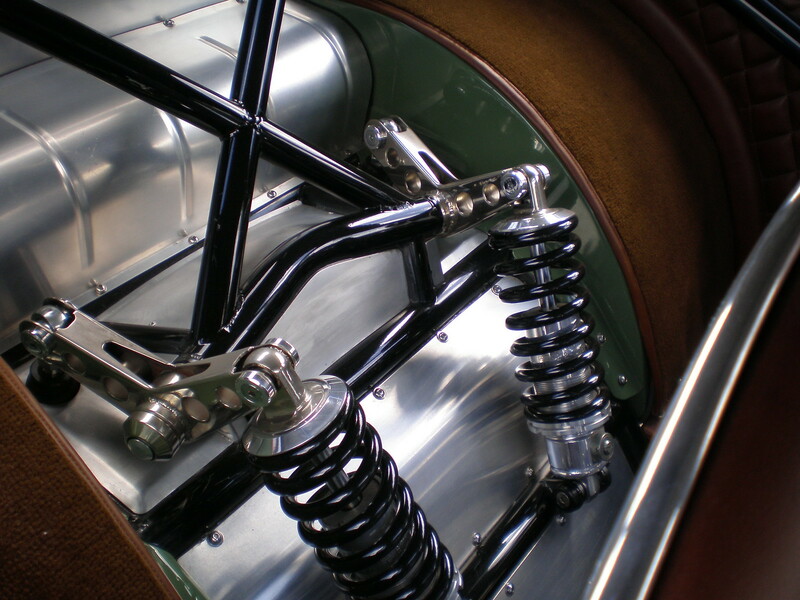 The picture hardly does it justice, that rear suspension is truly a work of art. 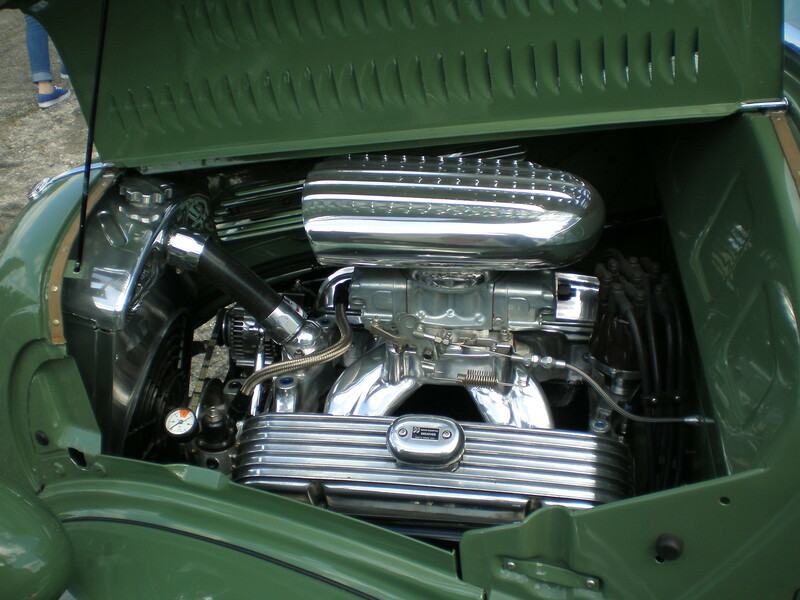 In the context of the car, the engine is almost (almost) ordinary; a 355ci small-block Chevy (owner rebuilt) with new pistons, rods, ported & polished iron heads and a Doug Herbert roller cam. 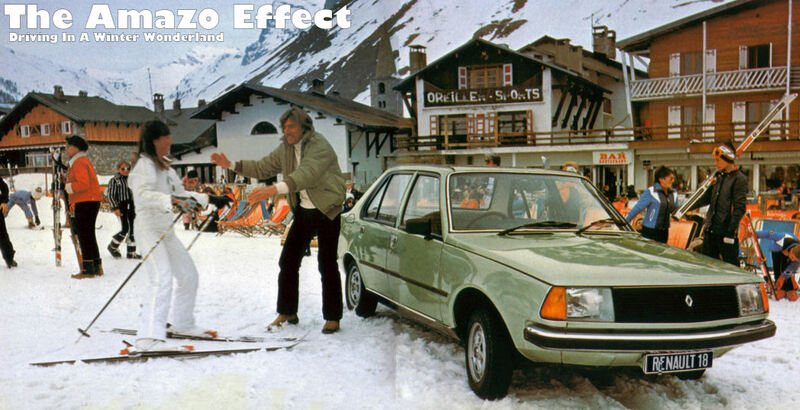 Its backed by a Richmond T10 4-speed gearbox (which is based on the design for the classic Muncie M22 'box). The body almost appears standard, but the details are there on close inspection; the flip front, the louvered boot lid, the semaphore indicators rewired to take LEDs, the flip filler cap re-purposed to house the battery kill switch. Those wheels aren't original either, but then surely the rears made that obvious; they consist of the outer faces of the original steels, mounted via the original lug nuts to a set of owner-made billet ally adaptors, mounted to 3.5x15 and 10x15 inch Centerline Auto Drag wheels. Wow. The interior is like no Pop I've ever seen and the Cousins touch is very evident here. 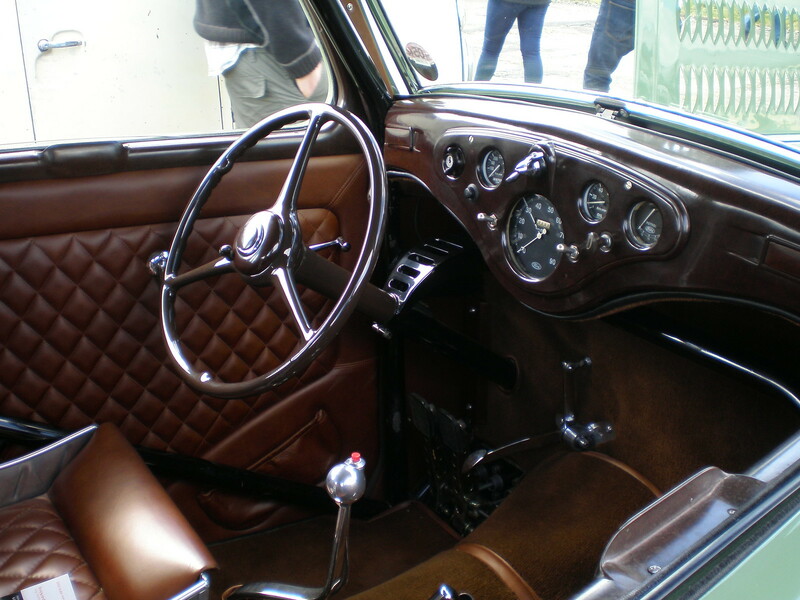 the bakelite dash and opening front screen are from a '48 Prefect and the steering wheel is standard, but the factory parts stop right there. Geoff fabricated those lovely bomber seats, mounted on on a three-pin quick-release system to the roll cage.The steering column has been made from scratch with components to ensure that the indicator stalk works with those LED indicators. 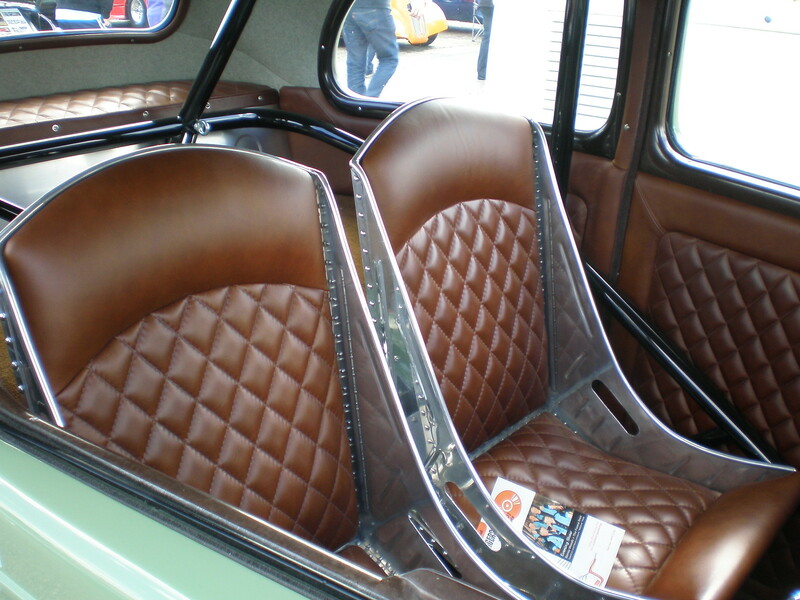 The gearshift and pedals are made from scratch, while he did delegate the seat upholstery to an outside trimmers, but did do the door trims and carpet himself. It sure takes the 'built not bought' mantra to a whole new level.